Patea’s incredibly long running newspaper 'The Patea Mail' was begun by Mr Joseph Ivess in 1875. He was responsible for launching over 30 newspapers. Alexander Black ran the paper for the absent proprietor for a period, and briefly leased it. The building is described in the Patea Mail in 1875 as: ‘possessing a very attractive facade, having five handsome columns painted imitation of marble; a large shop window, fitted with six panes of glass, which introduces the indispensible light into the printing-office’. He moved the business from these premises opposite the Court House to a building next door to McCarty and Hunger’s. The paper was produced three times a week in a hand-operated press. James Kenworthy was the editor and branch offices were established in Waverley and in Hawera in May 1878. In 1880 Joseph tried unsuccessfully to buy out the promoters of the Hawera Star. The establishment of opposition brought Joseph Ivess back to Patea where he installed Englishman Edward Houghton as editor. Edward purchased the paper in July 1880 and tried to meet the competition by renaming it the Patea County Press and by installing horse operated plant. The circulation was then about 500 copies. For just over a year Patea had both a morning and evening daily newspaper following the establishment of the Evening News in 1881, John Black was the proprietor and W. F. Howlett, editor. A copy of this paper dated 27 August 1881, states that it was ‘printed and published daily by Edward Norris in premises in Egmont Street”. Edward Houghton met this challenge by bringing out The Patea Daily Mail in January 1882. The town could not support two daily papers, and by October, 1882, the Evening News had ceased publication The following year Houghton sold out to James Henry Clayton. The masthead then reverting to Patea Mail. James Clayton, previously manager of the Christchurch Daily Telegraph, bought the paper in September of that year. ​Another short-term owner, he then sold to Thomas E Hamerton in June 1884. Thomas re-launched the paper as the Patea County Press in October 1887, publishing on Mondays and Thursdays. Thomas Hamerton sold to John Ferguson Holloway in 1901, and Thomas became part-owner of the Inglewood ‘Record’ which he edited until his death in 1919. John Holloway, a former sub-editor of the Hawera Star, ran the paper from 1901 to 1903. Brother of Mayor James Cowern; Fred Cowern (and his wife Anne Jane Corlett) followed him for a few months and at the end of 1903. 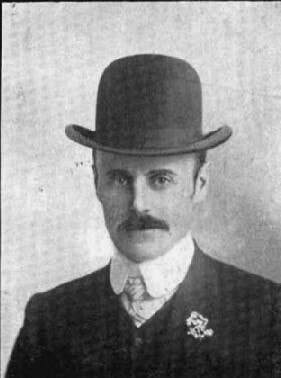 William Clement Cargill took over in late 1903. The paper William Cargill published and edited appeared three days a week – on Mondays, Wednesdays and Saturdays. After six years he left to run a stationery business in Hawera and Thomas Drummond controlled the Press. Edward F Hemingway bought the Patea Press in 1911 and bought the plant of the short-lived tri-weekly, the Waverley Tribune, in 1914. The Patea paper, subsequently known as the Patea and Waverley Press, was carried on by Hemingway until 1941, when it was another wartime victim and due to the shortage of paper, it went into recess. Edward continued with job printing till 1946 when the business was sold to E. W. Beckett. He was the son of a newspaper founder and had edited his first paper at the age of 18. After less than two years Mr Beckett abandoned the paper, due to his wife having a heart attack, which he blamed on the hard and heavy work of printing the newspaper. He moved to Marton and set up the Rangitikei News in 1948. Archie J Clarkson began printing the Patea News in 1952 for about 1 year, until the Hawera Star took over printing it until April 1975. Mr Archie Clarkson, who had been a member of Mr Hemingway’s staff and was persuaded to print a monthly, free, newspaper for the town and district. Unfortunately all the type-setting machinery had been sold. As hand setting was not a viable option Mr Clarkson arranged to have the type set in Palmerston North, however it suffered all sorts of mishaps during its journey back to Patea. The set type was very heavy and was easily dropped, resulting in lines of type falling out of place and even worse, damage to the printing surface. After a few issues it was obvious that some other means of publishing a local paper needed to be found. An approach was made to The Wanganui Herald and they published a few issue, but for some reason not recorded The Hawera Star took over and published The Patea News as a fully commercial undertaking. Each issue usually had two folded sheets, giving eight pages slightly smaller than A4 size. As the paper required seventy per cent advertising to break even, there was little actual news, but, thanks to the efforts of the local reporters, Mrs A. Gallocher, followed by Mrs Marion Grant-Fargie, and then her son Tony, The Patea News managed to survive until March 1975, when advances in printing made it possible for the paper to be produced locally and printed by Wanganui Newspaprs Ltd. News, collected by Mrs L. M. Reynolds and Mrs L.A.T. Cate, and Advertising by Mrs E. Murray, was, after editing, sent to Wanganui for photo setting, and returned to Patea where the pages were made up, and returned ‘camera ready’ to Wanganui for printing. It was decided to publish on the second Wednesday of each month as this would avoid all Public Holidays, and avoid clashing with the Waverley Newsletter which was published on the first of each month. As the Primary School was celebrating its centenary over Easter the first issue was actually published on the third Wednesday, 16th April 1975; one hundred years and two days after the first issue of the original Patea Mail. Planned to be an eight page tabloid paper, the smallest paper published was twelve pages, and the largest the Borough Centennial issue of 112 pages. Most of the papers were delivered by the Post Office, but, a weight limit restricted the number of pages to 16 so special arrangements and a special price had to be negotiated for the delivery of the Borough Centennial edition. Following this first issue, the man from the Hawera Star who had been responsible for the Patea News told their Patea correspondent “that he gave the new paper a maximum of six months” A few months short of twenty years later, Howard Anderson retired as editor and Cath and Tony Sheard took over publishing the paper, which they are still doing in 2018, forty-three years after its re-birth. A rather long six months and still going! Compiled from information from Howard Anderson.